Sculptra is an Injectable used to add volume to areas of the face to create a soft, natural, more youthful re-contouring of the face. It builds your own collagen while it gradually disappears. It doesn't give you that "over-stuffed" look. Sculptra® Aesthetic (Injectable poly-L-lactic acid) from Beautify Spa in Scottsdale Arizona is an anti-aging facial injection treatment that can give you subtle results over time. Replacing lost collagen. Not an overnight miracle. Long lasting. Not a quick-fix. The first facial Injectable that gives you subtle results over time by replacing lost collagen. Giving you a more natural-looking appearance, without giving you away. A full treatment of Sculptra Aesthetic, an average of three injection sessions over a few months, can last up to two years, so you have more time to see how sensational and subtle it can be. Welcome to the new age of anti-age! As we age, the appearance of fine lines and wrinkles become a common concern for most of us. Over time, our facial skin can thin and take on a depressed and hollow appearance. For years, people have tried a variety of procedures to correct sunken cheeks, hollow eyes, indentations, and other signs of facial skin fat loss. Until now, there have been few FDA-approved treatments specifically for this condition. Sculptra® injections have been used throughout Europe since 1999 to improve the appearance of aging skin folds, indented chin surfaces, hollowed cheeks and sunken eyes. 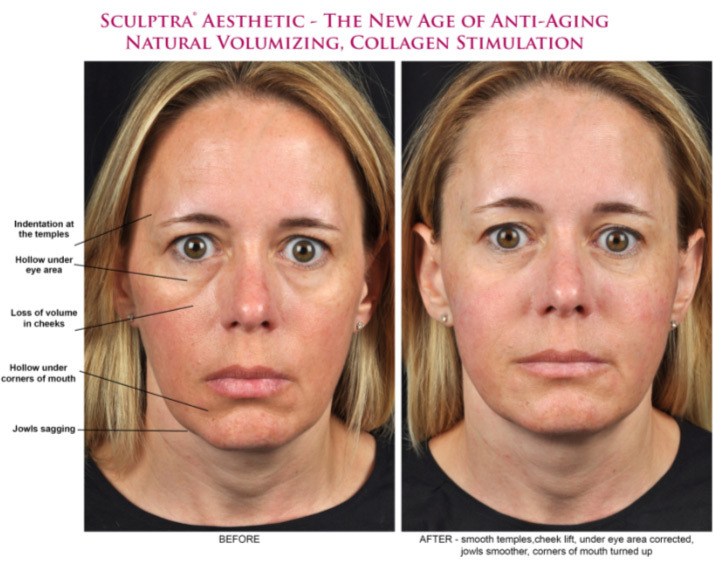 Sculptra® was recently introduced in the United States and has been rapidly climbing in popularity. Sculptra® Aesthetic uses poly-L-lactic acid, which works with your body to help rebuild lost collagen for a more youthful-looking appearance that can last up to two years. Collagen is a key structural component of smooth, healthy-looking skin. As you age, your body's collagen production decreases. In fact, you lose about 1% of collagen per year after the age of 18. * This is when you may start to notice the formation of wrinkles. Luckily, Sculptra Aesthetic can help, even if decades of collagen loss have already occurred. YOU LOSE ABOUT 1% OF COLLAGEN PER YEAR AFTER THE AGE OF 18. Sculptra® is a safe, synthetic, and biocompatible (doesn't harm the body) material that is injected below the surface of the skin in the area of fat loss. It provides a gradual and significant increase in skin thickness, improving the appearance of folds and sunken areas. 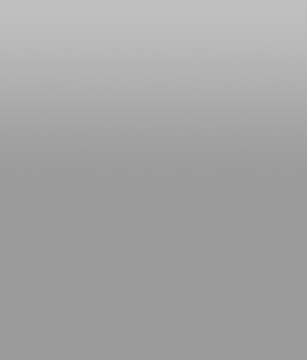 Sculptra is composed of a synthetic material called poly-L-lactic acid (PLLA). PLLA has been widely used for many years in dissolvable stitches, soft tissue implants, and other types of implants. Sculptra® adds volume to hollow and depressed areas on the face, including around the eyes and cheeks, by increasing the thickness of the skin. It also fills facial lines and wrinkles giving your face a beautiful refreshed look. Treatments most successfully preformed with Sculptra® include the thickening of the skin of the hands and the face. 80% of Sculptra Aesthetic users still rated their results as "good" or "excellent" 25 months after treatment. What Does the Sculptra Treatment Involve? The procedure typically takes between 15 and 30 minutes and they can return home, or to work, within minutes of the procedure. It is most often performed with the use of a topical numbing cream. The Sculptra® filler is then injected beneath the surface of the skin, under the dermis and subcutis layer. Then, as its name implies, the area is re-contoured or molded to the desired result. Results of the Sculptra® injections gradually become evident over the course of a few weeks, and become optimized within several months. Sometimes more than one treatment session is required to achieve the desired effect, which occurs gradually and could last up to two years. Depending on the severity of fat loss and depth of the wrinkles, you may need a series of treatments and touch-up visits to obtain the best results. During your visit, our Nurse Injectors will decide the appropriate number of treatment sessions and the amount of Sculptra® you will need. Sculptra (generic name is "poly-L-lactic acid" or PLLA) is a synthetic of lactic acid. Lactic acid is made in our muscles after exercise. Polylactic acid is lactic acid molecules stuck together in strings (a polymer). It is made in a laboratory and contains no animal products and no human DNA. It very gradually disappears by the action of your own cell enzymes. In 2009, Sculptra got its full FDA approval for cosmetic use in the United States. It has been used extensively in Europe for over ten years and is approved in Canada, Europe, and over 20 other countries. How is Sculptra Different than Juvederm/Restylane (HA's)? Sculptra adds volume to the face and fills grooves and hollows. This can give some lift and help with wrinkles because many wrinkles are created by loss of volume (think of a deflating balloon). Juvederm and Restylane (HAs), in general, fill specific wrinkles and lines. In the past few years longer lasting HAs have been added like Juvederm Ultra Plus and Perlane. These can also be used for cheek contouring and a "lift" effect. The choice between the HA fillers and Sculptra often comes down to the amount of volume replacement desired, your age, and maintenance issues. If a small amount of filling is all that's needed, then we generally recommend an HA Filler. 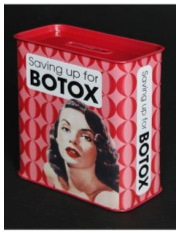 If more than 2-3 syringes of HA are needed, then Sculptra may be more cost effective over time (2-3 years). Only one maintenance treatment a year is typical with Sculptra, while 2-3 maintenance treatments per year are needed with Juvederm/Restylane. Adverse reactions to them are extremely rare outside of bruising or slight tenderness at the injection sites for a few days. See the section below on adverse reactions. The best result may be with both Sculptra and HA Fillers. Sculptra will re-volumize the cheek area, chin, and temples, and 1 syringe of Juvederm/Restylane 1-2/year will fill right around the lips where Sculptra can't go. Sculptra lasts approximately 2 years once the series of treatments is completed. Generally one maintenance treatment a year is needed so you don't completely return to your original volume. HAs last 4 to 9 months on average depending on the person and product used. Sculptra stimulates your own cells to make more collagen which it why it lasts longer. HAs are implanted gels (Hyaluronic Acid (HA) - a natural substance in skin) that gradually goes away. Dr. Vleggar in Geneva has treated a series of over 8,000 patients and had less than 20 more serious problems, all of them temporary (lasting 1 year or less). Be aware that small, invisible bumps can occur and will gradually go away. There are very rare cases reported of longer lasting nodules. Most of these were prior to 2003 when the product was reformulated with a smaller, smoother particle size. The company does not now recommend treating the eye area because it is more prone to temporary bumps. They are more likely to be visible there because the skin is so thin. Sculptra is more difficult to inject than Botox® or fillers like Restylane and Juvederm, so be sure your Injector is experienced. Also be sure you follow all the office recommendations regarding massage and any post care. Your doctor will give you a complete list, but do not use Sculptra if you are allergic to lidocaine or are pregnant or nursing. Do not use if you have lupus, Sjogren's Syndrome, or rheumatoid arthritis. Ask your doctor if you have other autoimmune diseases. It will last up to 2 years in most patients, but one treatment once a year is important for maintenance. You don't want to go from full to zero. It takes 45-90 days after the treatment to see the full results. This is because you are building your own collagen. One maintenance treatment a year is common so you don't completely return to your original facial volume. However, everyone is an individual and this cannot be predicted exactly. Sculptra can be expensive, albeit, we have some of the best prices in town without sacrificing any quality of work. The number of syringes depends on your age and amount of correction needed. Average is 2-3 treatments about 6-10 weeks apart for the initial "repair" series, depending on your age and the problems you are trying to correct. However, balancing that cost is Sculptra's longevity. After the initial series of treatments, usually only 1 treatment is needed per year to maintain the correction. It may be more cost effective in the long run. You can put on makeup within 24 hours and go back to normal activities. It's best not to exercise vigorously for one to two days. There is almost undetectable fullness (from the water in the product) for about two days after a treatment. A little bruising is normal, but it's usually minimal. You may have mild to moderate swelling at the injection sites which could last up to a week. To avoid bruising, don't take aspirin, ibuprofen or Aleve (naproxyn) or any other drug which increases bleeding for 1 week prior to your treatment unless required by your doctor. Is Sculptra Compatible with other Procedures such as Laser or RF Ultra Facial (Thermage)? There are anecdotal reports of Sculptra bumps after Thermage and some Fraxel treatments. This is probably due to the deeper collagen stimulation of these technologies. The combination of Sculptra with these could produce too much collagen in the form of bumps. Have your Thermage before your Sculptra treatments. We recommend waiting 6 months after Sculptra to have an RF Ultra Facial (Thermage) on the face. Ask your doctor about Fraxel if you are considering both. It may depend on the exact Fraxel setting that are being planned. Is Sculptra Compatible with Botox, Other Injectables & Lasers? Sculptra is generally fine to use with Botox, most lasers, and Restylane/Juvederm (in most situations). Our Nurse Injectors will advise you. If you have had multiple cosmetic treatments, be sure to let your doctor know exactly what those were before your treatment. Sculptra should not be used with permanent fillers like silicone or Artecoll/Artefill. Other Injectable materials could be used like Juvederm, Restylane, Radiesse or collagen. Surgical implants can be done to augment some areas of the face. We do not recommend permanent fillers like silicone or Artefill/Artecoll. Rarely, small visible bumps may develop which can take months or even a year or two to go away. These are usually related to the massage not being done correctly, a too concentrated Sculptra solution, an injection technique that doesn't follow the company protocol, or injection into an area that is not recommended (see above). After the treatment, some common injection-related reactions might occur, such as swelling, bruising, redness, tenderness, itching, and discoloration at the injection site. Occasionally, a treatment can trigger an acne flare. These side effects resolve naturally within 1 to 14 days after the treatment. If you've previously had facial herpes simplex at the injection site, the injection might provoke an outbreak. Talk to your doctor about this before the treatment.